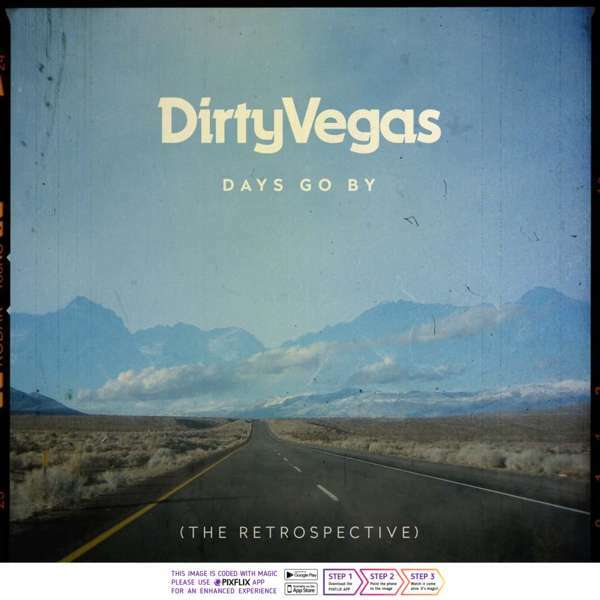 Grammy Award-winning electronic band Dirty Vegas release Days Go By (The Retrospective) bringing together the band’s biggest tracks, and favourite remixes, including four newly commissioned remixes for 2018, on two CDs. All the tracks have all been remastered for the digital age, and are available in CD and digital formats, with the latter including four additional bonus remixes. Dirty Vegas was founded nearly 20 years ago by Paul Harris, Steve Smith and Ben Harris who have since gone on to sell over 1 million albums; headline a world tour; named Billboard Magazine’s 6th Top Selling Electronic Artist in 2000 and produce four studio albums. Disc one of Days Go By (The Retrospective) features 17 original tracks, all hand-picked from their four artist albums. Featuring tracks from their self-titled debut album, Dirty Vegas headed up by the eponymous and infamous single Days Go By which first hit No.27 in the UK Top 40 singles chart in 2001, before re-entering to peak at No.16 a year later after featuring in the iconic Mitsubishi Eclipse TV advert, which became a benchmark in music marketing cross-promotion. Days Go By catapulted Dirty Vegas to Grammy success winning the group Best Dance Recording in 2003, the first year an award was given in that category. Lost Not Sound, I Should Know, Simple Things and their Top 40 hit Ghosts complete the famous five. The 2004 album, One included their No.1 Billboard Dance chart hits Walk Into The Sun and Human Love, while their next album Electric Love was the first without original member Ben Harris. It reached No.4 on the USA iTunes Dance chart and is represented by their singles Electric Love, Little White Doves, Emma. Finally, Do What You Feel, Let The Night and Setting Sun join their reworking of Duran Duran’s Save A Prayer from the duos most recent 2015 album Photography, which hit No.3 on US iTunes Dance Album Chart and achieved certified Gold Status in Italy. Disc two features a continuous DJ mix from Dirty Vegas band member Paul Harris mixing up a handpicked selection of 13 classic tracks remixed by electronic superstars such as Paul Oakenfold, Nora En Pure, Sharam Jey, Alex Neri and Fred Falke plus four exclusive new remixes from Stuart King, Budd, Jay Shepheard and Dumont & Wagener. Fans who download the digital album will also be treated to a further bonus remixes including three versions of Human Love by PAAX Talum, Death On The Balcony and Bad Milk. There’s also an uplifting Above & Beyond interpretation of Tonight, a Sultan & Ned Shepard remix of Pressure plus Felix Da Housecat’s re-rub of Changes. Days Go By (The Retrospective) is available via download stores, streaming services and all good record stores as a two-disc CD.